Two going on twenty. : January 29th, 2008 - Yielding for dummies. 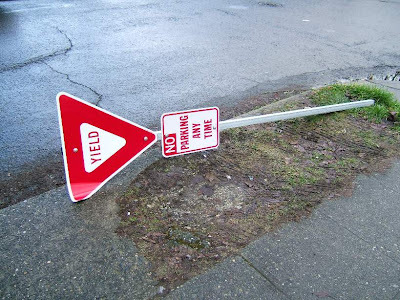 January 29th, 2008 - Yielding for dummies. Technically, it doesn't say STOP. February 1st, 2008 - Paper Posies! January 30th, 2008 - What's up Doc?